The Mid-Ohio Regional Planning Commission (MORPC) has announced that Robert Williams will become its new director of residential services. The director of residential services serves as MORPC’s leading expert on home repair, energy efficiency, weatherization and associated community programs. This senior-level management position leads all programs within MORPC’s Residential Services Department and represents the department in interactions with external stakeholders – including MORPC’s local government members and associated officials, state and federal entities, utilities and funding partners. 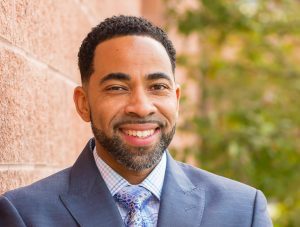 Previously, Williams served as the executive director for the Nationwide Children’s Hospital (NCH) / Healthy Neighborhoods Healthy Families Realty Collaborative (HNHF), a non-profit affordable housing organization. He began his career in community development and affordable housing at Homeport. Williams is the co-chair of the Resident Resources Network board of directors and is also on the board of directors for the Hilltop Shalom Zone. He has a bachelor’s degree in English from The Ohio State University and a master’s degree in marketing and communications from Franklin University.